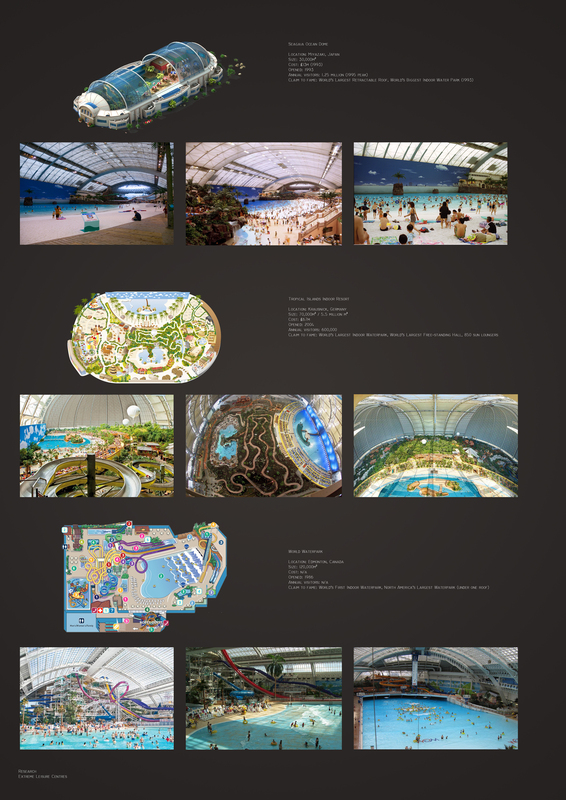 This page is a look into other extreme leisure centres around the world. These three centres have all been built on an excessive scale to produce a fully artificial location in a contained building. they all are built within a similar form of building that pays little attention to architectural detail, but conceals it behind sky blue painted borders and artificial rock and tree-scapes. I think that is a fantastic idea!